Ireland, while small, is one of the most rewarding countries I have experienced as a landscape photographer. Around every bend in the narrow roads, a spell binding view of a lake, a cliff, the sea, a ruin, or beautiful rolling fields is waiting just for you. 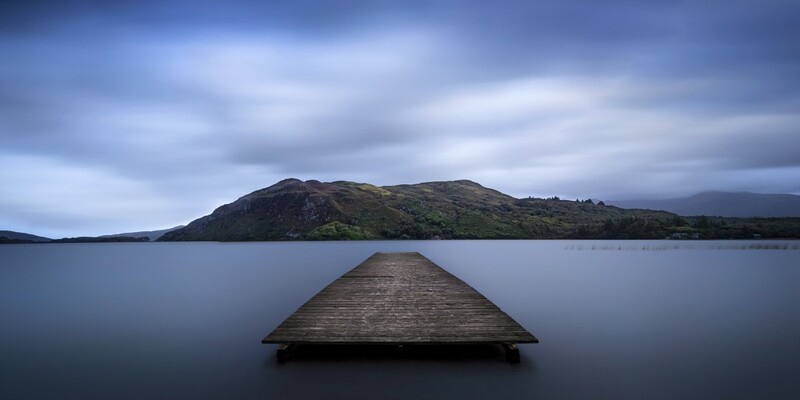 On my last trip there, teaching a workshop with my good friend Rohan Reilly, I was quite happily standing ankle deep in the mucky edge of this lake in County Kerry, grinning broadly at this jetty. Luckily I had my 24mm tilt/shift lens with me, to capture such a wide view. The finished image is three (left, center and right shift) photos stitched together in Photoshop. Image Copyright ©2014 Athena Carey. All rights reserved. A unique and identifiable style, I always enjoy viewing Athena’s work from her adventures!